Download iMac Home Office Mockup PSD. 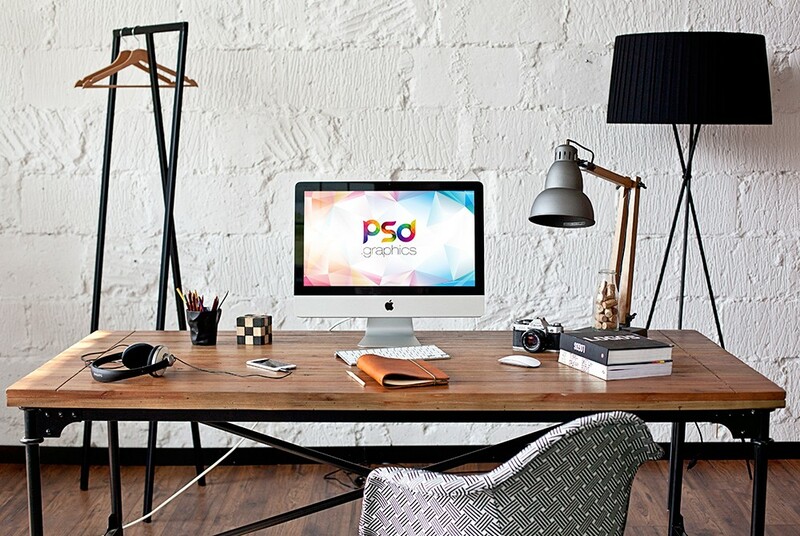 This Free Mockup showcases iMac in a realistic Home office environment. It is a great way to showcase your web design work and present it to you clients on a iMac Screen. Whether you are web or graphic designer if you want to showcase your website or an application ui design this Free iMac Home Office Mockup PSD is perfect resource for you. With this iMac Mockup you can really boost the value of your interface design work and give your client an idea how the actual design will look in working environment. You can easily edit this iMac in Home office Mockup with the help of smart object for quick customization. Just replace your design inside the smart object and you are done. Hope you like it. Enjoy!